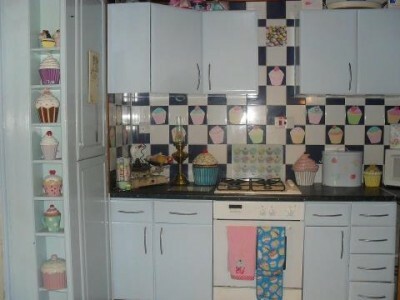 By stayhomecupcake on June 30th, 2012 . Filed under: Cupcake Ideas, Decorating, Kitchen . Couldn’t believe it when I saw this on the blog! 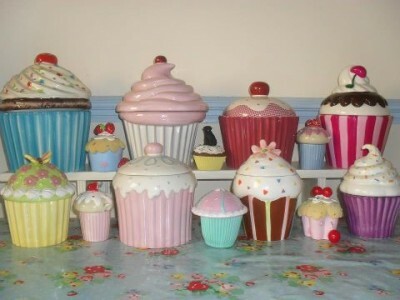 Have a couple more cupcake jars since I posted this pic, promise I’ll post the latest one! 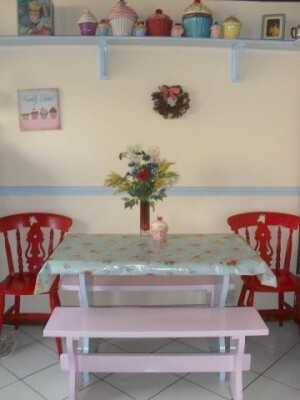 No the tablecloth is from Cath Kidston a famous British interior designer. She has a website if you are interested, the style is very much 50’s retro for any fans out there. 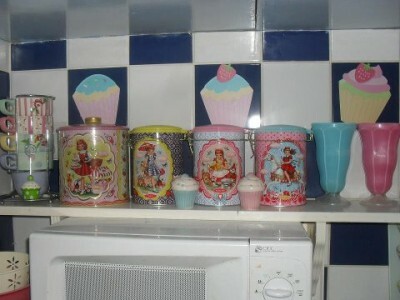 The blue cupcake far left is from QVC from David’s cookie jars (called Adina here) but was on HSN in the US, the next one is from Matalan UK, the gingham one is part of the Creative Tops collection several stores in the UK carrie these, the top far right one is from New Look, the small treat jar size ones below are also David’s cookie jars (purple & yellow), the lower pink one is from NEXT, can’t remember where the brown one is from.